Herring CPA Group has the distinction of being the first CPA firm in Tifton, Georgia. Mr. Gerald N. Herring, Jr. opened its doors on May 15, 1950. 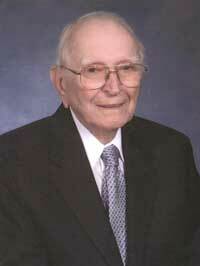 He worked hard to bring accounting business back to Tifton from the other towns where clients had gone to be served. The firm expanded when Charles Powell became the first partner in 1974. Through the years, the office building has been extended to reflect the growth in our firm, as we increased the range of services and added professional staff to adapt to a more complex business environment. Our professional team in the Tifton office currently consists of 6 CPAs at the partner level, 1 staff CPA, and 9 members of the accounting, bookkeeping, clerical and information technology staff. We have an office in Sylvester with one partner CPA and 2 support staff. Our firm has served the Tiftarea community and surrounding counties for more than 60 years, meeting the accounting needs of a diverse clientele in every setting from the local farm to the corporate board room. We continue to offer a variety of relevant services to businesses and individuals. We are committed to maintaining the strictest confidence of our clients’ business matters. You can trust that with Herring CPA Group, your information will always remain confidential.